The Breakers Labs organization was founded in August 2017 when Coach Bobby created a new club. The team started as SoCal Breakers Labs at the 12U level. Most of the current players on the team have been playing for Coach Bobby since either 12U or 14U. Their team is based in northern San Diego County. We have weekly team batting practice and strength & conditioning training at Big Fly Athletics in San Marcos, Calif. We have weekly field practice at Kit Carson Park in Escondido, Calif.
Our student-athletes primarily live throughout San Diego County and the Temecula/Murrieta area. We have also had student-athletes from the Los Angeles area as well as Calabasas. The goals of the team are not specifically to win titles but to train and compete at the highest possible level. Competing at the highest level allows us to showcase all of our student-athletes and prepare them for the collegiate level. Over the last four years, Breakers Labs has been emerging as one of the top programs in San Diego County. Breakers Labs is a unique player experience with a family atmosphere that Coach Bobby has created. His personal connections to each and every player set him apart. Being selfless breeds success and wins games. Coach Bobby Labs has been coaching girls fastpitch softball for over 14 years. He started out with the San Diego Renegades then after some very successful seasons, moved to the SoCal Breakers in 2011. In August 2017, Coach Bobby made the decision to branch out and create his own fastpitch softball organization. He is the heart and soul of the organization. A passionate and energetic leader, Coach Bobby had a hand in developing and coaching hundreds of girls in his career and has personally placed over 60 players in just the past five years with some of the top Division I programs as well as numerous DII, DIII and NAIA colleges and universities. 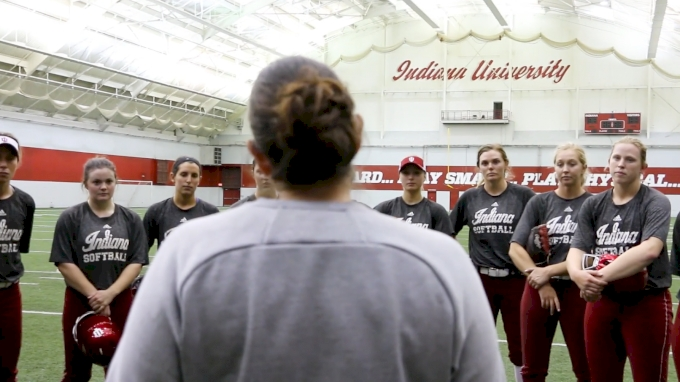 As a true player’s coach, Bobby stresses the fundamentals, proper techniques, and raising softball IQ during all practices and lessons. He also stresses the importance of understanding the value of the team and how the life skills and lessons girls learn as part of softball are things that will translate to help them be successful in life as well. Teaching and guiding the development of these young girls is Bobby’s way of paying it forward for all the critical and positive influences he has had in his life. As someone that struggled early in life with some poor decisions, Coach Bobby credits all those positive influences in helping him get his life turned around and into coaching softball. A self-proclaimed “shaper of young minds,” Coach Bobby has earned the respect of players, coaches and parents alike. In 2016 as a 14U team, the team went 5-0 in the PGF Las Vegas National Qualifier. While battling intense 108-degree heat the team came together to win several close games and capture the PGF Premier berth. In 2018 playing at PGF 16U Platinum Nationals, the team went 3-0 through the pool games then 6-0 through the bracket games to advance to the National Championship game. The 9-0 run was driven by superior pitching, great offense, and a gritty come-from-behind win in the semi-final game against a strong Monarch Gold team. Intense practices, excellent skills development, hard work, and Coach Bobby’s involvement with all of the teams and players in the organization prepares them to compete at the highest level. Balancing culture, unconditional support, and advanced training has proven fruitful. Ava is an excellent pitcher and a great athlete. She dominates in the circle with a drop ball, curve, screw, and compliments those pitches with a changeup. Ava will play on Breakers Labs 16u Black team this season. Mayca maintains a high on-base percentage whether she is slapping or hitting away to all fields. She plays excellent outfield defense with a strong and accurate arm. Staci pitches at a very high level. She throws hard with a curve, screw, backdoor curve, and off-speed pitches. Staci has a great swing, is a smart hitter who moves runners, and is a leader on and off the field. Zoey has a powerful swing and is a solid defender at both corner infield positions. Zoey was one of the loudest supporters of her teammates at PGF Nationals even though she was injured. Ashley is an intense competitor who plays with a chip on her shoulder. She is a great outfielder with excellent range and an accurate arm. Ashley is a sneaky fast baserunner. 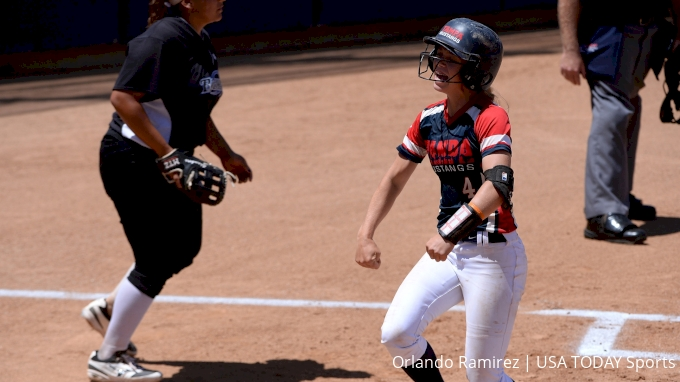 She led the team in RBI’s at PGF Nationals and had two game-winning home runs. Autumn is a clutch hitter with a powerful bat to all fields. She is an excellent leader behind the plate. Autumn has a fast pop time and a very accurate arm. Paige has a powerful bat to all fields and is a talented slapper. She is a great outfielder and demonstrates her speed on the field and on the bases. Paige will play on Breakers Labs 16U Black team this season. Alyssa is an intelligent pitcher with excellent spin and pinpoint accuracy. She throws a rise, curve, changeup, and backdoor curve. Alyssa is the best defensive pitcher on the staff. Kaylee is strong, an excellent defender at both corners, and has a powerful bat to all fields. Kaylee is clutch and always maintains great energy on the field and in the dugout. Kennedy plays excellent infield defense with a great arm. She is intelligent and anticipates the ball very well. She is an extremely hard worker with a great attitude. She is a contact hitter with great power. Kennedy will play on Breakers Labs 16u Blue team this season. Juliana is a strong pitcher with excellent control and spin. She throws a curve, screw, rise, and changeup. She is a contact hitter to all fields and she is a solid defender at pitcher and first base. Makena is a leader on the field with a strong bat. She is the best two-strike hitter on the team and has superior bat control. She’s a very intelligent player and is an RBI generator. Heather is a smart player who plays excellent defense through great anticipation and strong fundamentals at third and first base. She is a power hitter, a leader by example, and the heartbeat of the team. Kylie is a speedy outfielder with great range. She is a slapper with a very high on-base percentage. Kylie has excellent power and is fast in the field and on the bases. Shea is a great defensive second baseman and she hits with power. She’s very vocal on the field and always leads by example. Shea is very versatile as a utility player and with the ability to hit up and down the lineup. An excellent utility player, Taylor plays both middle infield positions and outfield positions at a very high level. Taylor is extremely fast on the bases and has a very powerful bat to all fields. Kaila is an excellent and versatile defender. 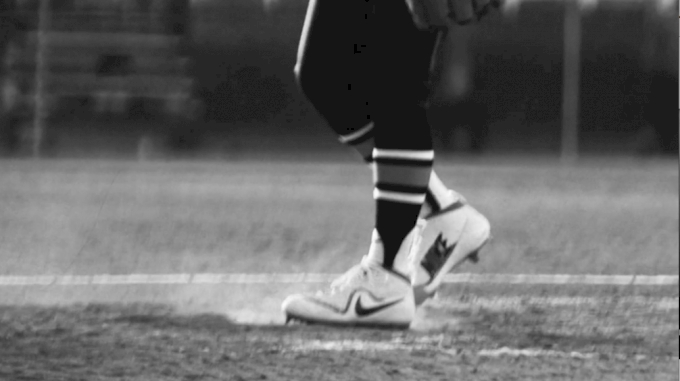 She is fast in the field and on the bases. She is very intelligent and demonstrates an extremely high softball IQ. She is a gap to gap hitter with solid power. Alyssa has extreme raw speed. She has a powerful bat and hits with power to all fields. She’s a very smart base runner and an excellent outfielder with great range. Annie is a great defender behind the plate. She has a big arm and frames well. She’s a smart player with a very powerful bat. Annie is great at communicating with the pitching staff and recognizing pitching adjustments that need to occur. Alyssa is a talented slapper and also hits away with power. She’s aggressive and a very quick baserunner. Alyssa is an excellent outfielder with great range and a big arm. Allison is a great pitcher with command of her rise, changeup, screw, drop, and curve. Allison is an excellent defensive pitcher and first baseman. She is also very quick on the bases. Miah is a gap to gap hitter with power. She is a hard worker with a great attitude. Miah is a great corner infielder and outfielder. Madison is a power pitcher with a rise, curve, changeup, drop, and screw. She has a very powerful bat with power to all fields. Alex-Rose is an athletic middle infielder with a great arm and hits with power to all fields. She has great range and is very quick on the bases.